Before the age of smartphones, tablets, social media and even digital cameras, there was the VHS cassette time. It was the only way to record and store all of our videos. Some of your most cherished moments in life are on VHS format – TV shows, music videos from the 80s, weddings and your kids’ birthdays. 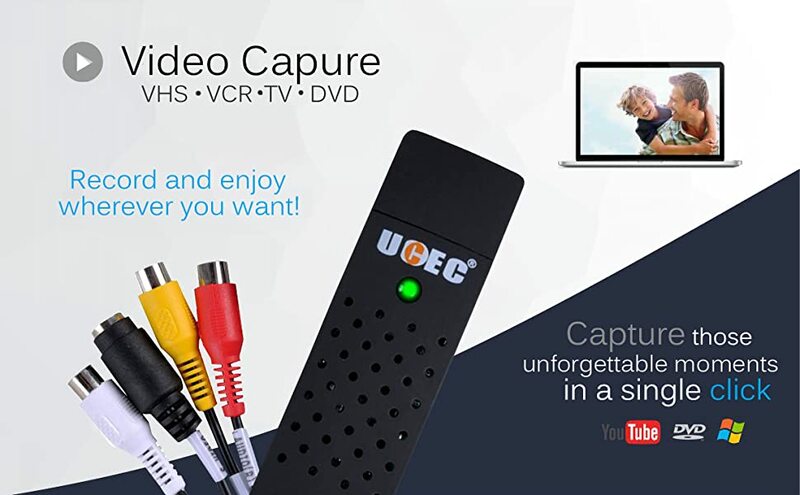 This Video Grabber easily collects data from your original source (in this case a VHS player), and displays it beautifully on your PC or laptop. At the same time it is recording and saving it for editing later. 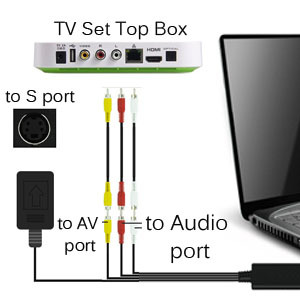 PC/Laptop Port is the popular USB 2.0 type. or refer to the Hones tech TVR Help file. 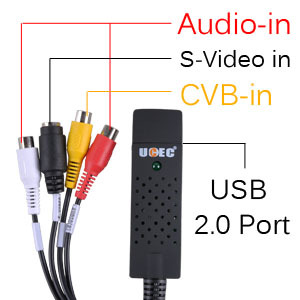 Connect your PC or Laptop with DVD player, Monnitor Camera and VHS Player, achieve the conversion from analog format to digital format. 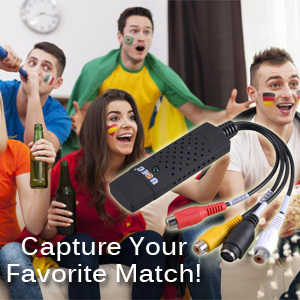 Capture your favorite sport games or shows when your are too busy to enjoy them or for review from TV. 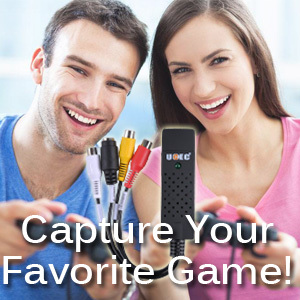 Capture your favorite video game from your game console and play with a bigger screen or record your excellent game-play performance.